Vegetable gardens typically peak in the summer but with some planning, San Diego gardeners can enjoy bountiful yields well into the fall. You guessed it… our fairly warm fall weather is the reason why we can make our gardening enthusiast friends in cold climates jealous. We spoke to the experts at Armstrong Gardens on Morena Boulevard to find out which summer vegetables they recommend planting that will thrive in the fall. Yes, the vegetables on this list are botanically classified as fruit but they’re referred to and eaten as vegetables. Not to mention, these plants are a great way to inject fall color into your garden. Think green, red, orange and yellow and all of the accompanying cool-weather dishes you can prepare with the goodness from your own yard. Mix in fertilizer (vegetables and fruits take a lot out of the soil, so add plenty each year). Turn the soil well to about eight inches as you mix in amendment and pre-plant fertilizer. Check other plants to see if they show any signs of pests or disease and work to eradicate the problem, if they do. Armstrong Garden Centers are big fans of E.B. Stone Organics. Each of these plants prefers warm soil to thrive as well as full sun or spots in the yard that receive about 6-10 hours of sunlight per day. They’ll also need plenty of water. Zucchini is a very popular veggie to grow with kids because the plants don’t take long to reach maturity. Keep the soil moist but not wet and wait for squash to appear. When they reach about 4 inches long, they’re ready to be picked. The more aggressive you are about picking zucchini, the faster more will grow. If you need to slow production, leave a few on the vine. Also, remember to utilize zucchini flowers in your cooking as they are delicious in salads and then some. This buttery-tasting squash (also sometimes referred to as scallop squash) earns its name from the bend in its neck. Like zucchini, these plants can be very prolific. The plants are bushy and grow to about 3′ wide and 2′ tall. Pick the squash when it reaches about 6″ in length. Try steaming crookneck squash and sprinkling bacon on top. Or, if you have a recipe that calls for strictly zucchini, add some crookneck for a splash of color as they can be used interchangeably. Some kids think these flying saucer-shaped squash are cool looking enough to try (dare to dream). 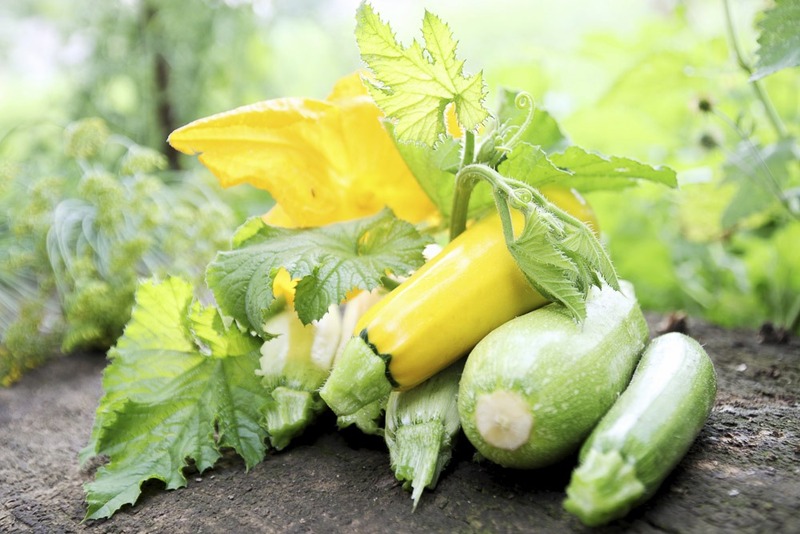 The plants grow in a more compact habitat with less vining than the two other squash above, which means they work in containers and small-space gardens. Because of their thin flesh, some people eat them raw or in crudite platters, but they won’t store as long in the refrigerator as other squash. Keep patty pans moist and the soil around them mulched. They require plenty of moisture to support their quick growing habits since they’re a smaller squash. Make sure to pick them when they’re 3-4″ in diameter, otherwise they lose flavor. Consider wearing gloves as the plants can be a little prickly. Any variety of cucumber will produce in a Southern California fall garden. Most cucumbers are a creeping vine that can cover the ground or grow up trellises that their little tendrils grab on to for support. If you plant the vining type, it is better to trellis them in order to save space and keep the fruit clean. 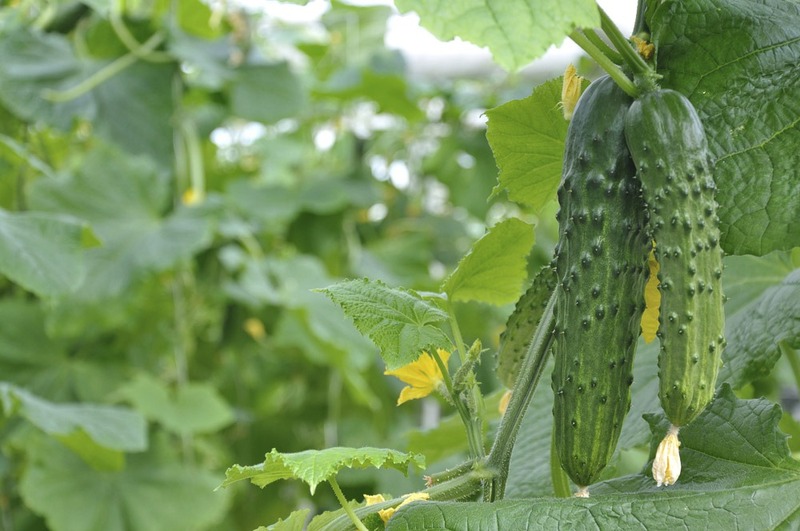 Other cucumbers form a more compact bush, such as the Burpless Bush Hybrid. Size and plant spacing depends on the type of cucumber. Once the fruit starts yellowing at the end, it’s over-ripe though little lemon cucumbers shouldn’t turn yellow at all before harvest (despite their name). 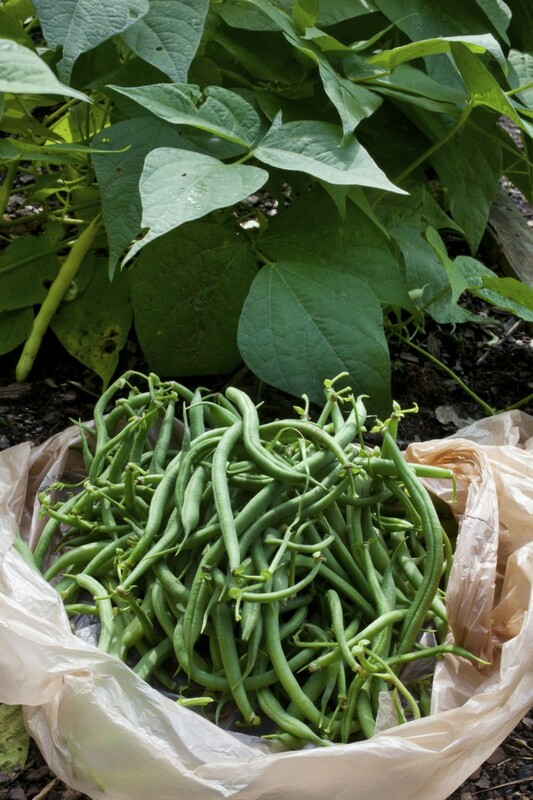 Green beans are another fun plant for the kids and a gateway veggie for those new to gardening. Do pay attention to whether or not you’re purchasing pole beans or bush beans as pole beans really do need a trellis. Your crop will get a little yucky if you let them just sprawl over the ground. Alternatively, bush beans don’t need a trellis and can grow in containers. Plant pole beans about 6-10″ apart (vines reach up to 10′ in length) and bush beans 3-6″ apart for (they grow up to 2′ tall in height, usually). The latter may require succession planting, should you want big yields throughout the season. 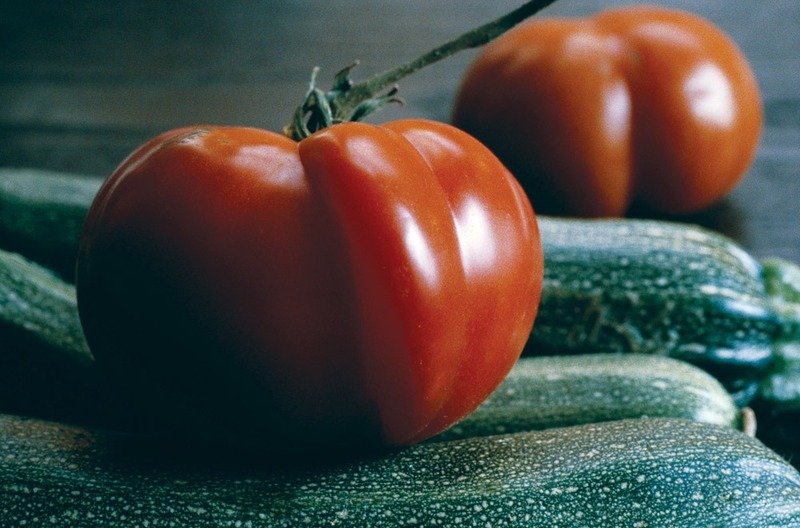 It isn’t too late to plant any type of tomato, with the exception of beefsteaks which don’t set fruit when temperatures are consistently above 85°F. And, if you’ve kept a close watch on tomatoes planted in spring or early summer, they may live on to produce fruit into the fall. Keep any dead leaves trimmed and an eye out for pests. Feed the plant as needed. It’s especially important to consider the type of tomato you’re planting as some produce fruit all at once (determinate) while some produce throughout the season (indeterminate). Growing your own vegetables has a long list of benefits. 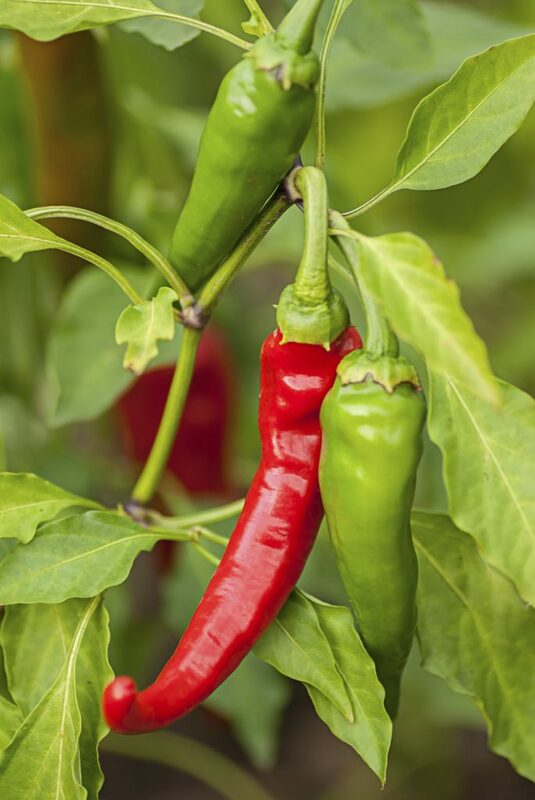 Home gardeners can control the types of fertilizer and pest control methods used, the vegetables taste better and they also usually cost less than they would in the supermarket. Still feeling unsure? Have a look at their list of free classes or stop into ask a gardening expert for help. Armstrong’s rule of thumb is to only plant what you like to eat is important. How many of you have wasted garden space on plants that you thought would grow well versus those you are excited to harvest and eat? *Photos are courtesy of Armstrong Gardens.